New Ontario Casinos don’t sit well with problem gambling prevention crews. Every time the public is met with the prospect of new Canada casinos coming to their communities, months of widespread debate ensues. The usual issues always come up. On the positive side, they will elevate the economy and create jobs. On the negative, there’s the social impact and increased traffic. These are all very common arguments, and as we’ve learned over the many years, the supporters usually win the debate in the end. It doesn’t hurt that the corporation proposing the casino generally has community leaders and provincial regulators on their side. But in the municipality of Chatham-Kent, Ontario, there’s a more interesting argument brewing. 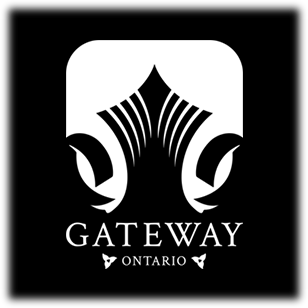 Earlier this month, Gateway Casinos and Entertainment proposed a preliminary plan to build a new Cascades-branded casino in Chatham-Kent. Community leaders are on board with the plan, as is the Ontario Lottery and Gaming Corp (OLG). But some say there’s not enough support in the area for the inevitable rise in problem gambling. It was one of the largest issues to arise following Gateway’s announcement last week, led by Shawn Rumble, Coordinator of the problem gambling program at Hotel Dieu Grace Healthcare in Windsor. He says there simply are not enough problem gambling counsellors to manage the impending workload. Rumble told local media that the Chatham-Kent Health Alliance only employs two certified counsellors. He adds that the program doesn’t offer a peer-to-peer 12-step program, either. According to him, 7 people traveled from Chatham to Windsor last year alone, all seeking help by way of the hospital’s residential treatment program. 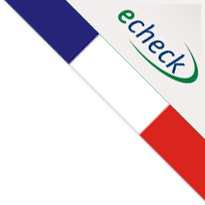 “We’ve serviced over 1,100 in 11 years. That speaks to the volume of clients requesting services,” says Rumble. Tony Bitonti, Senior Manager of Media Relations for OLG, disagrees with Mr. Rumble. Not only does he believe problem gambling won’t be an issue if and when Cascades Casino Chatham-Kent opens, he says the province of Ontario is home to the best funded responsible gambling program in all of North America. Bitonti told the media that the province siphoned $58 million into its responsible gambling program in 2017. That includes $38 million that went to the Ministry of Health and Long-Term Care to fund prevention programs, treatment, and independent research. According to Bitonti, the OLG teams up with problem gambling counsellors in every gaming-site community. He insinuates that, if proposal succeeds, OLG will provide the necessary support for such services. Gateway’s Communication Director, Rob Mitchell, agrees with Bitonti’s assessment. He says OLG’s responsibility guidelines and policies are of the highest standard, and strictly enforced. He says Gateway takes responsibility very seriously. Mr. Rumble doesn’t appear to be confident in the statements of Gateway or the OLG. He is calling upon the Local Health Integration Network for additional funding so that they can employ more certified counsellors in the region.